Intex has launched the Aqua 3G Neo smartphone, listing it on its site with a price of Rs. 3,690. So far, there is no announcement from Intex about the availability of the handset. The new Aqua-series Intex phone comes with dual-SIM (both regular SIMs) support and runs Android 4.4.2 KitKat out-of-the-box. The Intex Aqua 3G Neo comes with a 4-inch (480×800 pixels) WVGA IPS display. The smartphone is powered by a 1.2GHz quad-core Spreadtrum (SC7731) processor coupled with 512MB of RAM. It comes with 4GB of inbuilt storage, which is further expandable via microSD card (up to 32GB). The smartphone sports a 2-megapixel rear camera with LED flash, while there is a secondary 0.3-megapixel front-facing camera also on board. On the connectivity front, the Intex Aqua 3G Neo offers 3G, GPRS/ EDGE, Wi-Fi 802.11 b/g/n, A-GPS, Micro-USB, and Bluetooth options. The smartphone packs a 1500mAh battery, which according to the official listing is rated to deliver up to 8 hours of talk time, and up to 180 hours of standby time. It measures 125x65x10mm; weighs 105 grams, and is listed in Black, Blue, Champagne, and White colours. 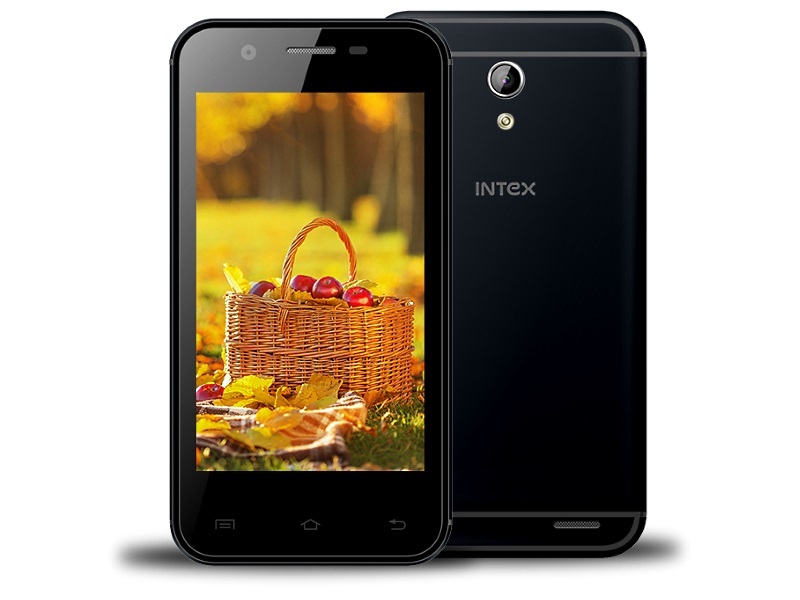 Earlier this month, Intex launched its Sense 5.0 smartphone, priced at Rs. 4,690. The Aqua Sense 5.0 features dual-SIM (3G+2G) support and runs Android 4.4.2 KitKat. Other specifications include a 5-inch (540×960 pixels) qHD IPS display; 1.2GHz quad-core Spreadtrum (SC7731) processor; 512MB of RAM; 8GB of inbuilt storage; expandable storage via microSD card (up to 32GB); 5-megapixel rear autofocus camera with LED flash; 0.3-megapixel front-facing camera, and 2000mAh battery.